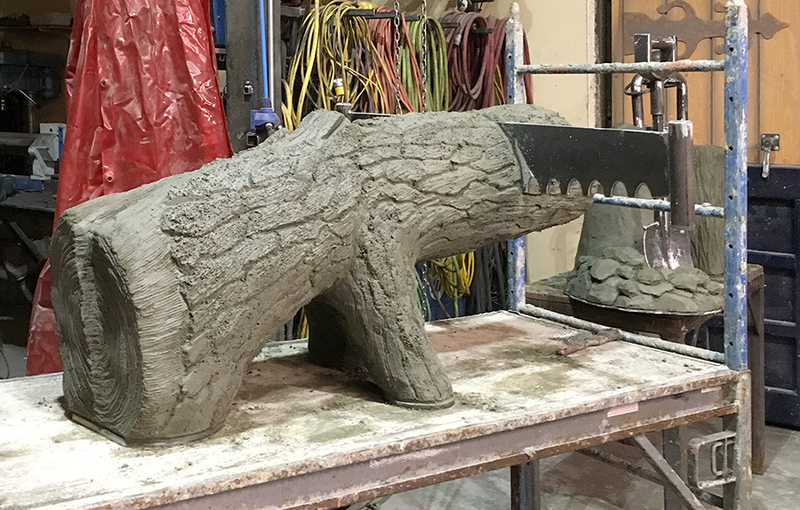 It was concrete sculpting day and the team worked together to complete six small but complex pieces. It was fun to transform the steel armatures into recognizable and detailed objects. We also sent off the first three pieces which were finished last week. Elsewhere in the shop new frames are being welded and wired for the next batch of features. The scenery in the shop is changing on a daily basis.